Jolt inspires people to make things from second-hand materials. The client, Reverse Garbage sell second hand materials – basically stuff otherwise bound for landfill. Their aim is to reduce our dependency on raw materials by diverting materials from landfill. The problem we needed to solve was to convert their foot traffic into sales. During my research I discovered that people struggled to see the potential of the unusual materials in the store and therefore did wouldn’t buy anything. This was a website and branding project created during the Tractor Digital Media course in 2014. I was awarded the Tractor Scholarship for this project. My solution was to inspire people to turn these unusual materials into a DIY project. Shoppers search for DIY projects based on the materials they found in the shop, allowing them to visualise how the projects would turn out. 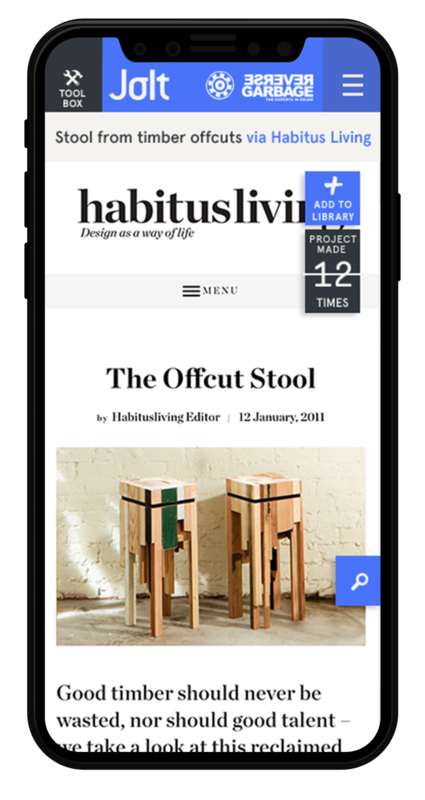 People would search for project inspiration based on three variables: make, use or refresh. MAKE: I will make something out of a specific material. For example: Jolt will search for projects that make chairs out of timber offcuts. USE: I will use a specific material, such as plastic bottles, to make something. Jolt will search for all projects involving plastic bottles. REFRESH: I will refresh a specific object, for example: I want to put a new finish on a table. 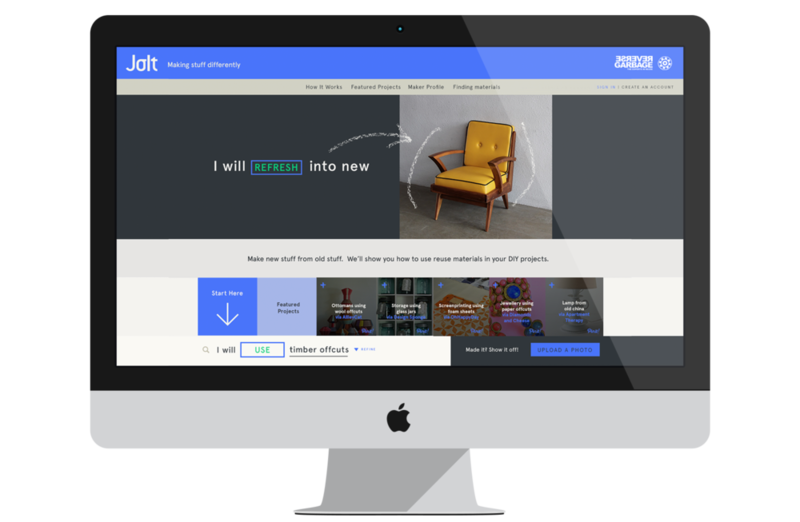 Jolt will show me tutorials on how to refinish a table.